Brian Love is a Principal at Booz Allen Hamilton in the Strategic Innovation Group, Digital. A seasoned management consultant and advisor to government, commercial, and international clients Mr. Love has more than 18 years of consulting experience. His recent work is centered on emerging technologies, platforms, and service delivery systems with a focus on Enterprise Mobility and the enablement of digital ecosystems such as IoT. As an executive in the Firm’s Digital practice, he leads Booz Allen Hamilton’s innovation business in mobility. A “full-stack” consultant, Mr. Love’s expertise spans fixed and wireless networks, virtualized infrastructure, the multi-cloud environment, mobile DevOps, and mobile application development and management. In his consulting and solutions development work he has advised clients on a wide range of digital transformation and enablement projects including very large scale government agencies and Fortune 1000 verticals. His prior work has focused on public and private sector clients in the financial services, regulatory, homeland security, health, and telecommunications markets. His diverse experience includes working with 10,000+ headcount organizations through start-ups. 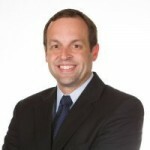 His recent work focuses in three main areas: (1) developing entry strategies that leverage next-generation pervasive computing and mobile technologies (2) enabling new digital system delivery ecosystems such as IoT and (3) creating targeted packaged vertical solutions for high priority/high growth markets. His most recent project is focused on developing a new cloud-based platform to enable modern mobile application development and new IoT solutions. He is also leading projects to reimagine customer and citizen services by taking advantage leading edge social, mobile, and cloud technologies. Mr. Love has a Bachelor of Electrical Engineering degree from Georgia Tech and an MBA from the College of William and Mary. He has primarily been based in Washington, DC with an international stint in London.